When parents abduct their own children they often believe they are doing it in the best interest of the child. They are acting sometimes out of fear and their own selfish desire to protect their relationship with the child, but most convince themselves their efforts will help the child. Unfortunately, child abduction rarely benefits the child and parental kidnapping makes an already difficult situation worse. Not only is it a criminal act and will ruin any chance at a reasonable co-parenting plan for the foreseeable future, but custody may be lost. It also takes its toll long-term on the emotional well-being of the child. According to the Department of Justice, approximately 200,000 family abductions happen annually and in a small percentage of these cases, the child remains with his or her abductee for six months or more. This time separated from familiar surroundings feels like an eternity in the lifetime of the child and causes serious damage to his or her bond with the non-abducting parent and other family members. Reunifying after a parental abduction is one of the most difficult challenges families face and that challenge increases the longer the child is gone. Additionally, parental kidnappings are usually perpetrated by a parent with whom the child feels less of a bond. Though it’s not a stranger, it’s certainly not someone who offers the child security. Not to mention the emotional stress committing the abduction takes on the kidnapper – the child’s primary caretaker during the kidnapping – further preventing any potential for creating a secure environment. Children who are abducted are forced to live far from everything that is familiar to them and is tended to by a person who is experiencing terrible stress and potentially mentally unstable. Once the child is located and returned to his or her other parent – and in the majority of cases this is the outcome – life is still chaotic. The non-abducting parent was focused entirely on finding the child and now must try to return life to normal, an impossible task now that the family has forever changed. Needless to say, the parental abduction of a child, even if it is short-term, is traumatic and cause long-term emotional damage. There are additional hurdles to overcome because of abuse. In some cases, problems continue into early adulthood and beyond. Like any traumatic experience, being abducted by a parent leaves a lasting impression on a child and can take its toll over the course of a lifetime. Some even compare the experience to abuse and point out the damage can extend to other family members, including the abducted child’s eventual spouse and children. To read more about how events during childhood can affect a person once he or she is an adult, check out this information from the US Department of Health and Human Services’ Child Welfare Information Gateway. What Can Parents Do to Prevent Parental Kidnapping? 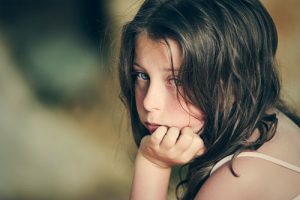 How Common is Parental Abduction during a Divorce? Just remember that no plan is full-proof, but understanding your child’s other parent’s frame of mind and motivation can make it easier to anticipate a problem. If you have questions or you would like to learn more about parental kidnapping, contact Gourvitz & Gourvitz, LLC at (973) 467-3200 or (212) 586-1700 to discuss your situation.